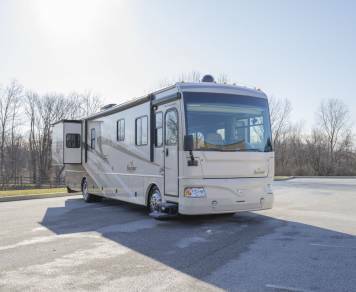 Search, review, and compare the best RV rentals in South Jersey, NJ. 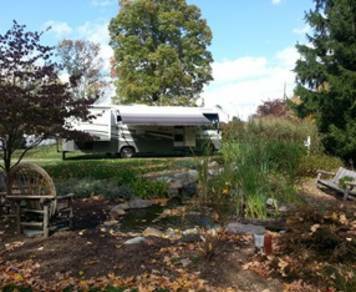 Read 521 unbiased RV rental reviews in South Jersey New Jersey. Being my first time renting or even being in an RV, Ralph was a great person to transact with. Easy to handle on RV Share, and went above and beyond to ensure we were all set with what we needed for a good trip. 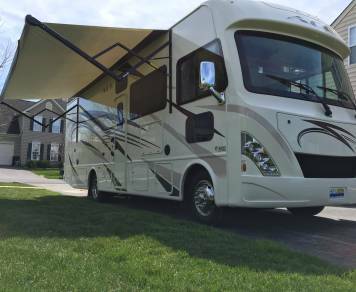 The RV itself was in great shape, and once you adjust to driving it, it's not too difficult. 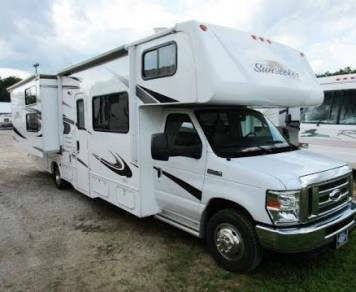 I and four of my friends rented this RV for four nights over Memorial Day weekend and we had a great time! We drove from NJ to ME and back and the RV drove well. Brake and gas pedals felt like I was driving a sedan. It's not luxurious but it's a great value for the money in my opinion. Definitely got the job done. I would recommend staying at a campsite with hookups for electric and water. The owner, Mike, is a very good guy and was helpful throughout the process. If you're looking to get away with friends and not break the bank, this is a solid option! Renting from JoAnn was great. She was really accommodating. No problems with phone/texting communication. We were first time renters and she made the paperwork easy to get through. 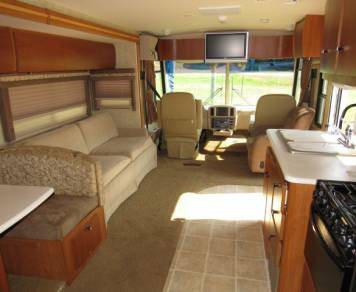 The rv is as she describes it and easy to use all the features. Very clean and well stocked. Brian really took the time and care into making our experience a good one. Everything you could thing of needing was stocked and organized on the camer. He was also great at communicating with us and eager to please! 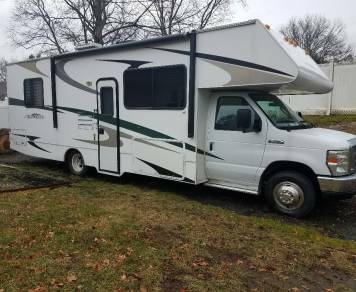 Would love to rent this again Very clean and a comfortable, great looking camper! Can’t beat the cleanliness, and amenities! 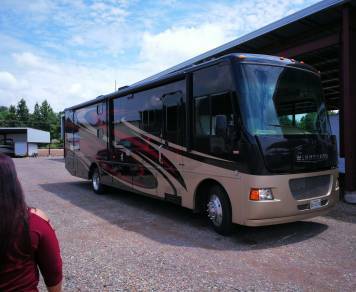 Great value with unlimited miles and generator use & it got us there and back safe and sound with no issues what so ever! Ralph was a real pleasure to work with. Entirely professional and made sure we were comfortable with the RV from start to finish. Would absolutely use again! 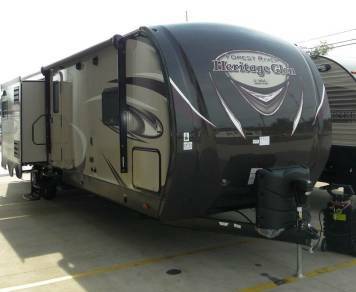 Absolutely recommend this RV, not only for the RV itself, but for the owners Mark and Alicia. 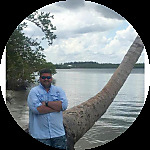 The two of them went to great lengths prior to our pickup to make sure we had everything we needed and the RV was clean and properly functioning. And talk about easy to use...setup of this unit takes about 5 minutes (the hydraulic stabilizers save so much time!). 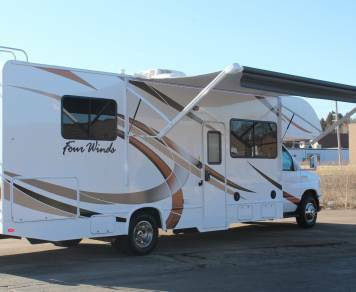 The RV truly was everything we wanted and needed. On a final note, while on this trip, I proposed to my now fiancé Katie. 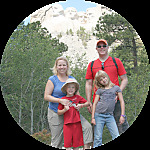 We sent some pictures to Mark to let them know how special their RV was to us now. When we dropped the RV off and did the final inspection, they gave us a gift for our engagement. Mark and Alicia truly are wonderful people. 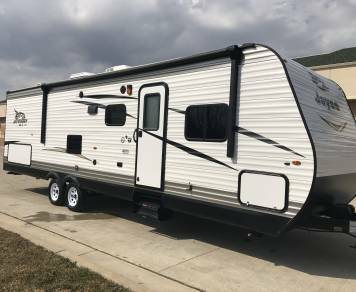 Overall, I highly recommend this RV to new users and seasoned RVers. 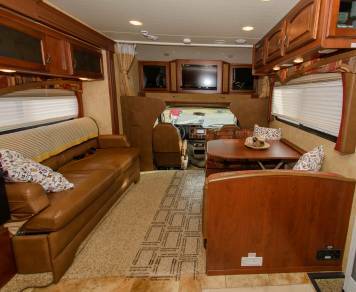 Beautiful new RV. We rented this RV for a weekend trip to Montreal. It's new, beautifully kept, excellent drive and above all, the owner, Joe, was very professional, accomodating and a pleasure to deal with. We're looking forward to rent this RV again in the future. Best value in the area. Well kept and clean. 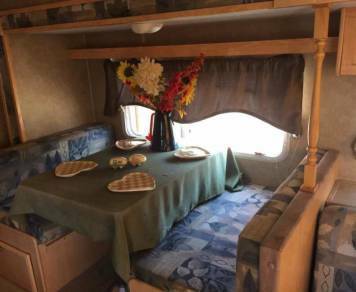 Very communicative hosts and clean RV. 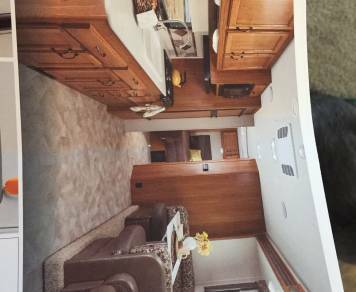 They really went the extra mile with making the RV feel like a home and we had a great time. 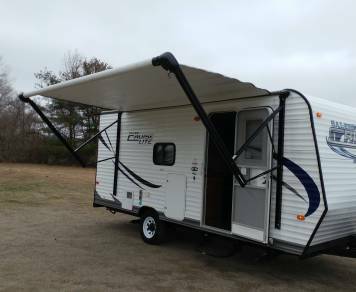 This trailer was exactly as described, impressively it slept 6 of us comfortably even without collapsing the table/couch for bedding. Our rental was for a race weekend at New Jersey Motorsports Park. Hal delivered the trailer for us and set everything up so all we had to do was arrive. When the weekend was over we left the trailer and he came and picked it up afterwards- it was effortless. 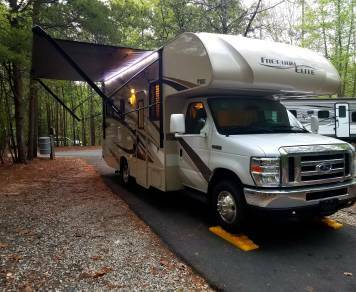 In the past we've rented "Class C" RV's for these events, and while they were nice, they are thirsty on fuel, time consuming to pick up/return, and more expensive to rent. For the time and fuel savings alone this trailer represents an excellent value. As an added bonus, there's much more room inside this trailer it than in a motorhome style camper, since there is no driver seat. The price could not be beat! We hope to rent this trailer from Hal again for next year's race. What a great experience with the owners as well as the camper. Service with a smile is a cliche statement, but a fact in this case. Wonderful people to deal with who aren't looking to make an income on your security deposit. 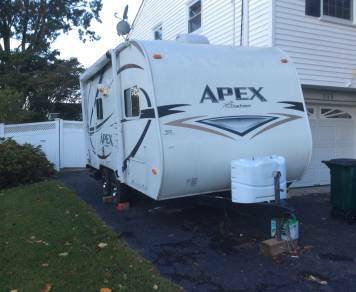 The camper was mechanically sound (I inspected it), all functions worked, clean and sanitary. 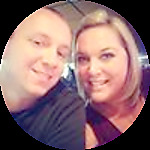 My wife and I will be renting from them again! If I could give them 10 stars, I would! Steve was easy to deal with and his RV was perfect for a couple nights. It was clean, comfortable and everything worked as it should have. Easy to tow and all in all a great value. Would definitely rent from him again in the future. 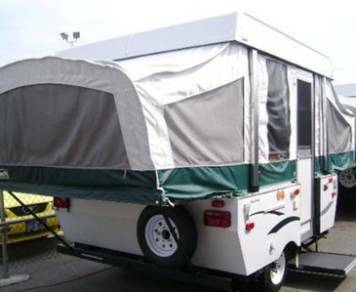 Great RV. True to advertisement. Some wear and tear (as expected), but overall a really great vehicle nice place to stay. 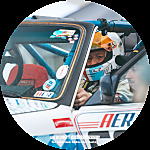 Andrew was very communicative, on time, and everything worked great. Will definitely rent again!! Owner was great to deal with. The RV was perfect. Overall this was a great deal for us and we enjoyed it. Great guy to do business with! 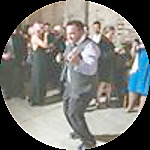 Fast and responsive to questions and concerns, before, during and after rental! Great Experience!! This RV was easy to drive and operate. Great fuel economy. You can park it almost anywhere. Very fresh and clean and came with everything you needed. Megan was very accommodating and responded to my texts and phone calls promply. Would recommend renting this RV!! 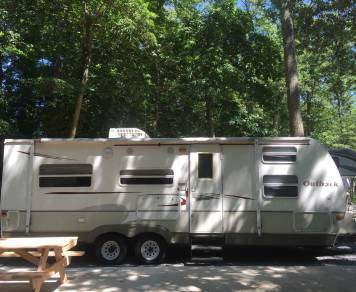 Our first time renting an RV from this site and we were so impressed! Paul was great, and his RV was perfect for us! 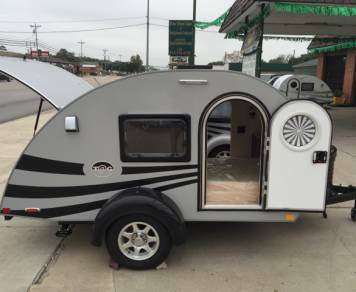 The Little Guy was very clean and comfortable, easy to tow, and everybody who saw it was so curious about it. We hope to rent it again! Willie was very accommodating and a pleasure to deal with. He was able to answer all of our questions and concerns in regards to our trip to Nashville. 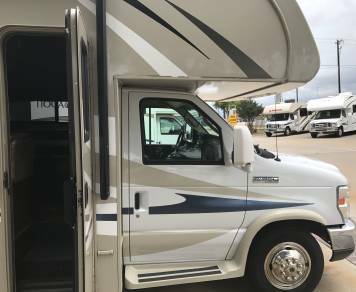 We had 6 travelers and had no problems fitting our belongings in the storage underneath and the closets throughout the RV. Everything inside was so well thought out - from the electronics (chargers, a phone holder for GPS, two Bluetooth stereos, two TVs) to the stocked kitchen, to the games, we really didn’t need to bring anything other than food. Next time I need to rent an RV, I know who to contact. Great time overall, wish it was longer!! 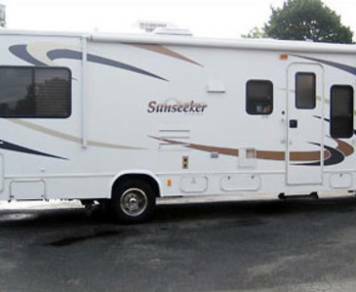 We absolutely loved renting this RV from Kerry. She prepared us well for our trip. She made everything so easy from the time we inquired to the drop off. The RV was easy to handle. It had everything we needed for our 6 night trip. We would highly recommend renting it from Kerry! We can't wait for our next trip! First time renting and it was a great experience. Jim was very accommodating. 5 stars all around. Renting from Anthony was a perfect experience for our first time out in a camper! He was very accommodating with pickup/dropoff times and was always quick to respond when we had any questions. 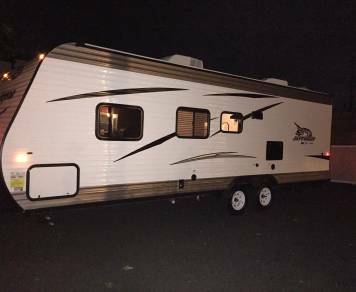 Just like the description said, the camper was spotless and he had everything we needed to tow and set it up at the site. We will absolutely be renting from Anthony in the future! My wife and i rented this diesel coach over a long weekend to travel all the way to Tennessee for a wedding in late April. 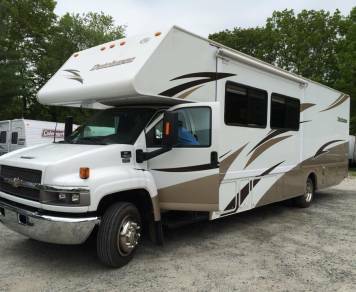 Having rented other gas powered RV's in the past i found it much more pleasurable to have the engine in the rear as there is little to no noise in the cab while driving down the road and the diesel power allows this thing to track down the road with ease. 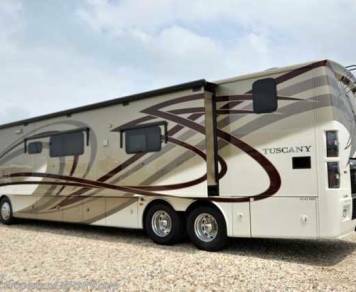 Besides that it is 38 feet long, it also has a full slide out on one side that makes living space inside more than i have ever seen in a coach of this length. Very Cool. Also the master bed wall slides out making that space quite usable. Bed comfy as well. 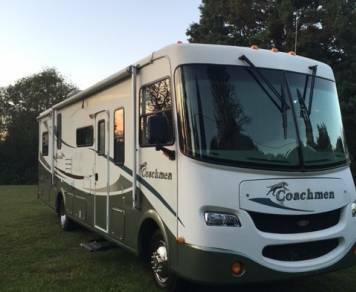 The coach is in excellent condition and is extremely well appointed and met or exceeded all of our expectations. We are already making plans for our next road trip due to our enjoyment of this coach. The owner was also available to answer some calls while we were on the road and had some questions about this or that that came up and he also provided a top notch RV navigation system that would route you away from low over passes (this is key and could save your security deposit and your phone battery!) as well as a tire pressure monitoring system so you could have confidence in all of those huge tires. I thought the rates were more than fair given the value of this coach. We Recommend! First of all, Chris and Heather are great. They explain everything and are easy to get in touch with. 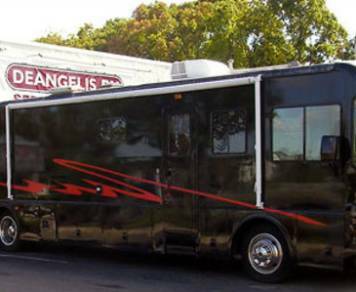 The RV is in excellent shape, with new tires and a new, comfortable mattress. Great for pulling with a smaller pickup truck like the Nissan Frontier. They provided the WD hitch and sway control, which made hookup a breeze. Highly recommended. 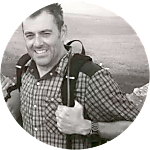 Andrew was fantastic and we had a good open line of communication from the start to the end. He was accessible and informative. Very good value and I think renters will be pleased with the coach and working wih the owners. Doug and Wendy were very helpful and accommodating. This was overall an excellent experience. 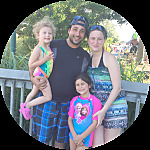 The Rv was amazing and it was so easy to set the reservation and we got exactly what we wanted. I would and have recommended this to anyone. We are already planning on using this again. Sarah and Abner were wonderful to deal with. 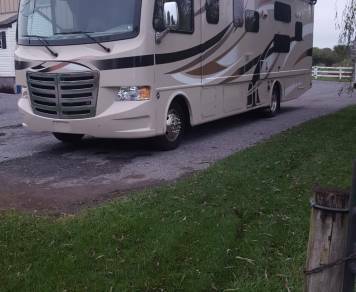 The RV was just as described and my grandchildren were thrilled to sleep in the coach. 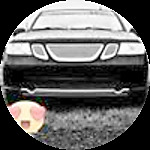 Highly recommend this owner! From start to finish, this was the most enjoyable rental experience i have ever had in my life. Tina and her husband, who own the RV, were the most amazing people to work with, so accommodating, quick responding, and generous to the point they got ME a gift as a thank you for renting. Incredible! 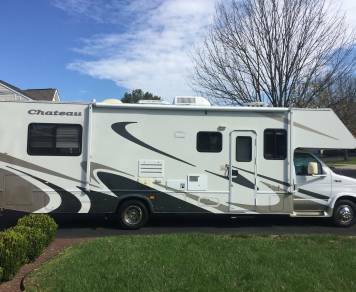 I was hosting a corporate 120 person Phillies tailgate and needed to rent the RV for a few hours since it was going to be a cold day. 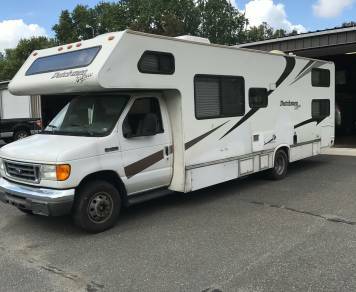 They were nice enough to put a package together where they drove the RV down to Philadelphia for me, set it up, showed me how everything worked, and then drove it home a few hours later. 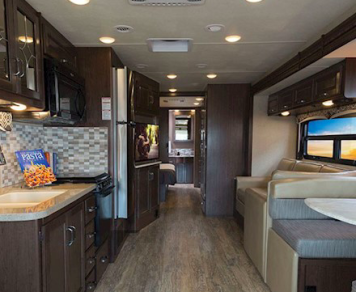 The RV felt like i was in a boutique NYC hotel - 2 bathrooms with a shower, bedroom, beautiful modern sitting area with TV, kitchen nook, and two additional chairs. Super new and clean- it honestly feels like you are in a brand new hotel room - beautiful. 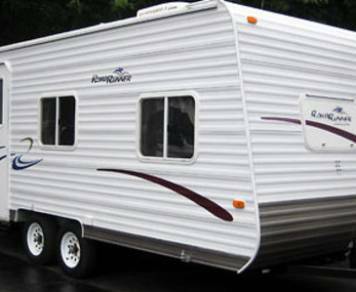 I have never camped or rented an RV before, but this is the only RV i would rent to travel somewhere. And the owners are an absolute pleasure to work with! Thank you for everything!!! !